At the heart of Import Services are good people and systems, which make the difference. Ensuring that our team are an ‘In House’ Centre Of Excellence is in the DNA of our work ethic. Training, combined with the drive to improve and innovate process continuously, creates our spirit of motivated and qualified staff. This particular human / system blend, produces industry leading efficiency and exceptional client service. The reward for our dedication to excellence, is our Clients’ success and their trust, manifest in retention of the long-term logistics partnerships we earn. In the new world of retail logistics, speed, accuracy and quality of information, is the necessary business edge. Therefore integral to our supply chain services, is information flow, which pulsates through Import Services in real time and out via secure web portals as data streams, to our Clients. System networks link back to us, using TRAC for informed decision making at the speed of light, from purchase order management, to stock allocation and order processing to billing…. 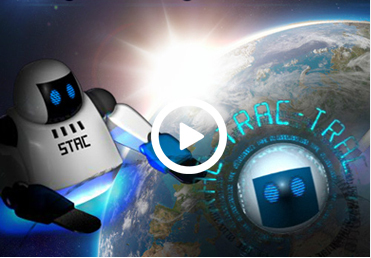 … of course all this is made possible by our innovation team PIC, PAC, STAC and TRAC! Please click each of the options on the menu opposite to read more about PIC, PAC, STAC and TRAC and their roles in the service provided by Import Services.